Knox had an early career in the Catholic Church, but became committed to the Reformed faith after hearing George Wishart. After a period of punishment in French galleys, he lived in England and influenced the Church there, before ministering to an exiled English congregation in the 1550s. He returned to Scotland and worked with the Lords of the Congregation to overthrow French, Catholic influence and implement Protestantism in Scotland. Knox travelled widely in southern Scotland, as well as in England and Europe. He was a charismatic preacher, and people flocked to hear him. The Reformation did not come about easily in either Scotland or England. In Scotland, there was a long-running political dimension – of which one manifestation was the Siege of St Andrews at which Knox was present. In England, Knox contributed to the war of words in the government of Edward VI between those who wished for gradual reform, and those who sought faster change in a conflict over the 1552 Book of Common Prayer. 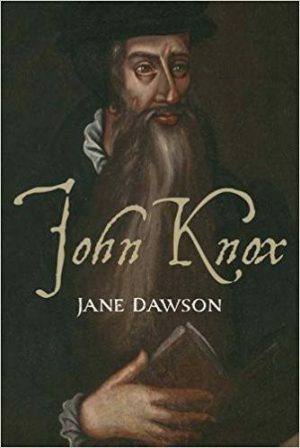 As well as his own History of the Reformation in Scotland, which gives limited information about Knox, he has been the subject of two recent biographies – one by Rosalind Marshall, who specialises in Scottish history, and a recent book by Jane Dawson, following discovery of new letters, reviewed here.